Posted on July 7, 2015 at 9:16 pm. HOLLADAY — With the Fourth of July approaching, various liquor bottles across the state were marked with big, red sale tags Thursday. That’s what it will cost if the buyer is caught giving alcohol to minors. In addition to the fine, the crime is punishable by up to a year in jail, the tags state. The “sale prices” are meant to draw double takes from alcohol purchasers and remind them of the consequences they could face if they supply underage drinkers. 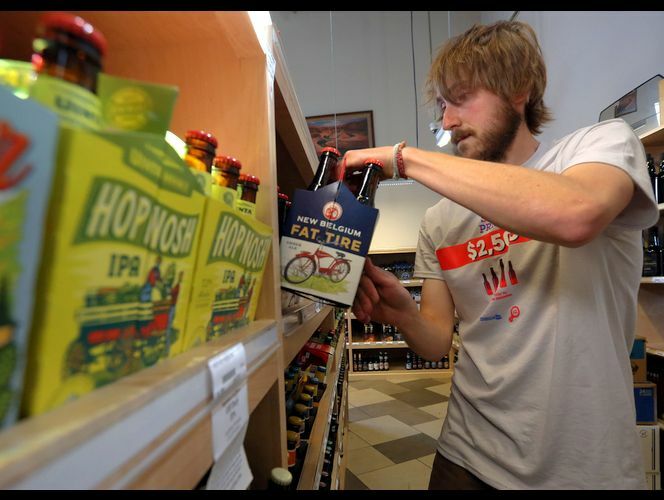 The tags will remain scattered throughout Utah liquor stores through the summer, a time when schools are out and kids have more free time and less parental supervision. The tags are a part of a campaign to remind adults to fight underage drinking, not facilitate it. The initiative stems from a partnership between the Utah Department of Alcoholic Beverage Control, the Division of Substance Abuse and Mental Health, the Utah Highway Patrol and ParentsEmpowered.org, a campaign to stop underage drinking.